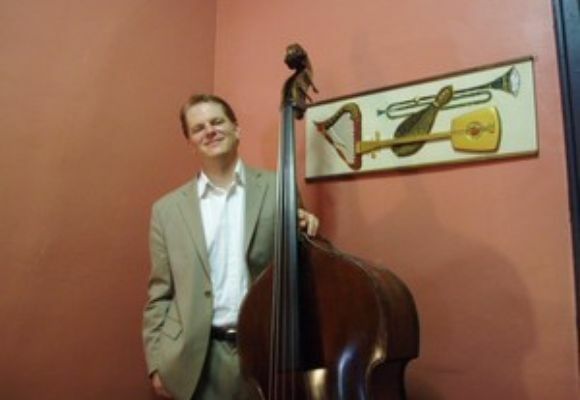 Jason Stewart started playing the bass at age 17 in his hometown of New Orleans, Louisiana. He was introduced to Jazz at the New Orleans Center for Creative Arts, a high school for the arts, where he studied with New Orleans trumpeter Clyde Kerr Jr. and New Orleans bassist Bill Huntington. After high school he performed regularly with many New Orleans musicians while persuing a degree in Communications from Tulane University, musicians such as Nicholas Payton, Ellis, Jason, and Delfeayo Marsalis, Leroy Jones, Shannon Powell, and Victor Goines, among others. After getting his bachelor's from Tulane he continued to persue a career in music and in 2000 he moved to New York City. By the end of 2001 Jason moved back to New Orleans but continued to spend much time in New York. From 2001 to 2005 he continued to play occasionally in the groups of Nicholas Payton and Ellis Marsalis, as well as freelancing around New Orleans. After Hurricane Katrina hit the crescent city, Jason spent six months helping his family pick up the pieces and then moved back to Brooklyn where he lives now. He continues to work with many New York and New Orleans musicians alike (going frequently to New Orleans to get a taste of home) and continues to play in the Ellis Marsalis Quartet. He currently studies in a post-graduate program at the Juilliard school of music in New York City and with bassist Ron Carter.